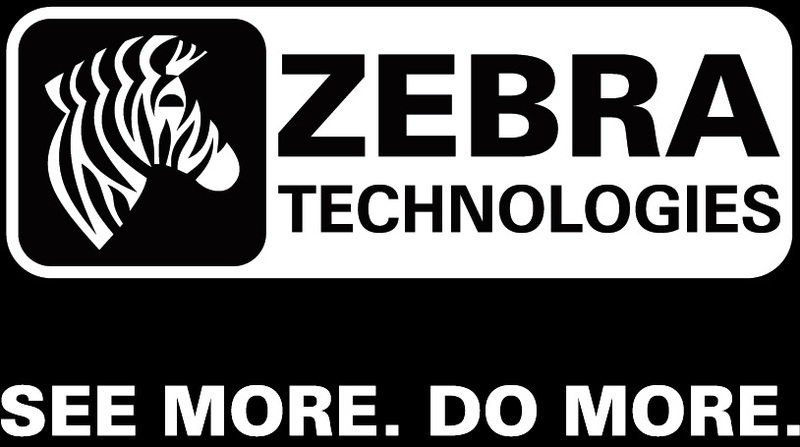 Motorola Solutions’ Enterprise business is now part of Zebra Technologies. By combining real-time asset visibility, rugged mobility and cloud technology, we’re delivering end-to-end solutions that unlock the value of the Internet of Things (IoT), enabling businesses to change the way they operate—revealing new possibilities. The interconnection of internet-aware devices, systems and services. As enterprises look to data for actionable insight into their operations and processes, the IoT comes to the forefront—contributing to the stream of data that organizations will store and mine. This will provide enterprises with deep visibility into their organization through the cloud—anytime, anywhere. Gaining real-time asset intelligence across your enterprise is changing the limits of what you can know about your business. What IoT possibilities do you see for your company? We live in a connected world, and technology is embedded in everything we do. Converting the physical to the digital allows you to know the location, motion and state of your assets, people and transactions. Harnessing this new wave of technology empowers businesses with Enterprise Asset Intelligence™. This enhanced business insight allows you to make more informed decisions and improve performance. Connecting your devices to robust cloud technology will allow you to capture and share mission-critical data—making the smart, connected enterprise a reality. The IoT is gaining momentum. Learn how Enterprise Asset Intelligence is enabling businesses to gain actionable intelligence on their assets, people and transactions. HOW CAN THE IoT BRING ASSET INTELLIGENCE TO YOUR INDUSTRY? Is your industry not listed? Request a 1:1 consultation here. Learn how Enterprise Asset Intelligence applies within your industry, so you can start making more informed decisions and improve performance. 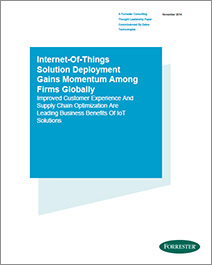 In a new report by Forrester Research*, more than 80% of global firms surveyed agree that IoT solutions will be the most strategic technology initiative for their organization in a decade—and 25% of participants say they already have an IoT solution in place. Get the full report, plus key recommendations for successful implementation. ©2014 ZIH Corp. All rights reserved. You’re one step away from learning more about how to connect what is with what’s possible. But first, tell us a little about yourself. Learn how Enterprise Asset Intelligence™ is applied in your industry. But first, tell us a little about yourself. To download this research, please tell us a little about yourself. To better understand how Enterprise Asset Intelligence™ is applied within your industry, please let us know how to contact you. To better understand how Enterprise Asset Intelligence™ can benefit your organization, please let us know how to contact you. If your download does not begin momentarily, click here.